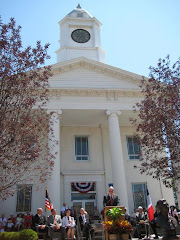 Is Robin Carnahan Missouri's Martha Coakley? 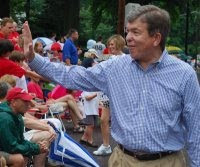 Rasmussen Reports has Missouri's Roy Blunt leading Robin Carnahan in new poll. "Republican Roy Blunt now holds a six-point lead over Democrat Robin Carnahan in Missouri’s race for the U.S. Senate. A new Rasmussen Reports telephone survey of likely voters in the state finds Blunt ahead of Carnahan 49% to 43%. Three percent (3%) prefer some other candidate, and five percent (5%) are undecided... As it has for other Democrats throughout the nation, the health care issue appears to be creating challenges for Carnahan. Just 37% of Missouri voters favor the health care plan proposed by President Obama and congressional Democrats, but 62% oppose it." This exerpt below is from a must-read article from Brent Teichman's blog: Setting Brushfires of Freedom--One Mind at a Time. It is also reprinted today on redstate.com. "December 16, 1773 – On a cold Massachusetts evening, thousands of oppressed American citizens gathered around Boston Harbor to voice their displeasure with their government. After decades of being taxed, tyrannized, and having their grievances ignored, those Massachusetts citizens did what Americans ultimately do – They put their lives, their families and their fortunes on hold in order to protect liberty. And on that night, amongst the shouting and the confusion and the tea floating in the harbor, liberty was protected. History has a way with irony. On Tuesday, January 19, 2010 – over 236 years after those Americans lit the brushfire that ultimately would begin to burn so hot and so bright that it exploded into revolution – liberty, once again, will place its hope in Massachusetts. And what once seemed impossible, has now become plausible. Can Scott Brown really win?..." Read the full article here.